Last week, Lake County Board members learned that there were serious concerns about purchases made on Lake County Board Chairman Aaron Lawlor's procurement card over the last several months. 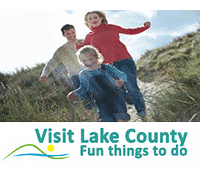 This was uncovered as a result of a Freedom of Information Act (FOIA) request to Lake County. Due to these concerns, we have requested the State's Attorney's Office to conduct a special investigation into these purchases, and we expect to learn more in the coming weeks. In the meantime, I am attending the Finance & Administrative Committee meeting today during which we will review policies and procedures around the use, approval, and reimbursements for expenses incurred in the course of doing business on behalf of the taxpayers. We have many questions about what has happened, how it happened, and what must be done to ensure it is not repeated. Using a procurement card for personal purchases is against the law, even if the purchases are reimbursed, as it is the unlawful use of taxpayer dollars. In this instance, we must understand why it went on for so long, the approval process of those expenditures, and how much has been repaid to the County. Interestingly, our state legislators do NOT have a procurement card, and any expenses they've incurred-and been reimbursed for-can be found on the state's website. I will press for greater transparency at the county level as an additional safeguard and improved access to information for our residents. I will continue to ask questions and keep you updated on what I learn. Please do not hesitate to contact me with any questions or concerns about this very serious matter, and I will send another update when there is more information.